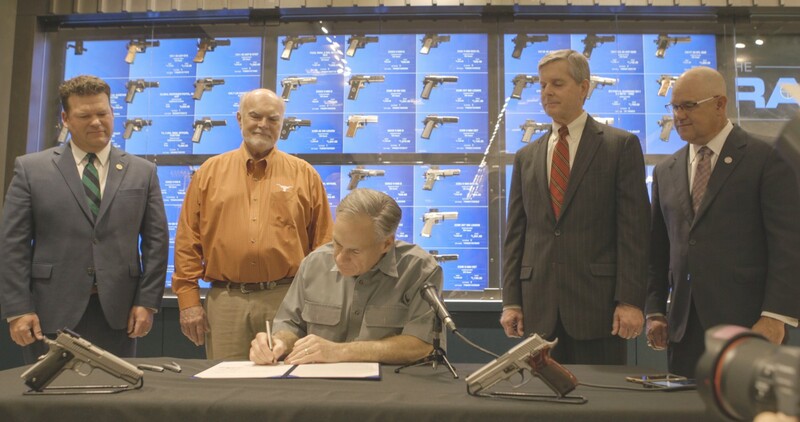 Governor Greg Abbott today signed Senate Bill 16 (SB 16), which reduces the fee for a license to carry a handgun in the state of Texas. This legislation will decrease the financial burden on law-abiding Texans that are seeking to obtain or renew the proper licensing to legally carry a handgun. Additionally, the bill waives the license fee required for peace officers and members of the Texas military forces. "Texas is known for its strong Second Amendment rights laws, and I’m proud to further strengthen those rights today," said Governor Abbott. No law abiding Texan should be priced out of the ability to exercise their Second Amendment rights. I’d like to thank Senator Robert Nichols and Representative Phil King for their work in expanding liberty in Texas." Cutting the first-time license to carry a handgun fee from $140 to $40. Lowering the renewal fee from $70 to $40. Waives the fee for peace officers and members of the Texas military forces. This bill will go into effect on September 1, 2017.